Riverside’s cascading gain stages create harmonically rich tones that are immensely musical and naturalâ€”from silky clean overdrive to colossal distortion, and all points between. 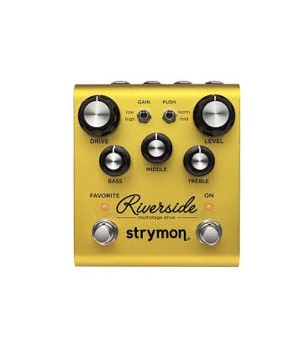 Our analog JFET front-end ensures that Riverside responds to your guitar with uncompromised dynamics and feel. The precision crafted DSP generates dynamic complexity and pleasing harmonics at every stage, letting your amp shine at any gain level. Riverside takes your amp to places you never knew it could go.